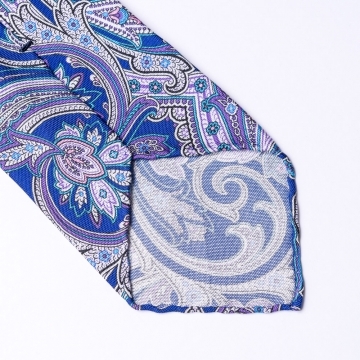 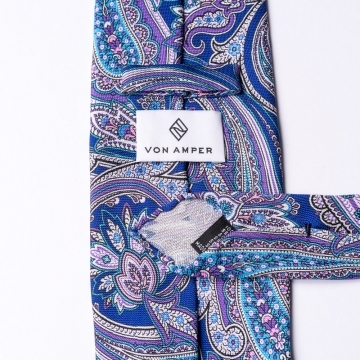 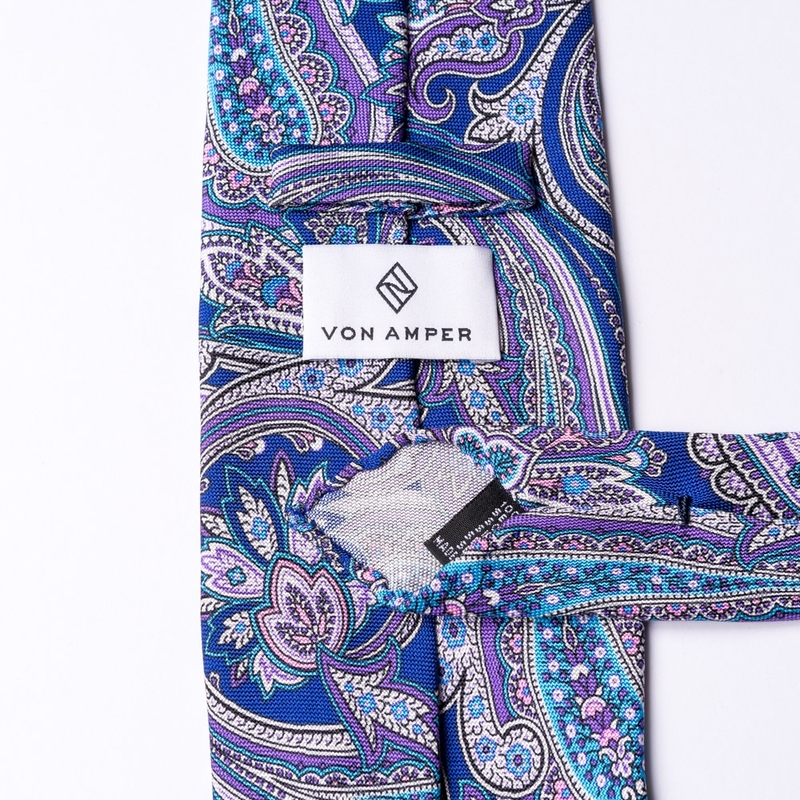 Our tie with a purple, white paisley pattern. The extravagant design works best with an otherwise plain suit. Made from pure, wonderful silk printed with an exquisite pattern. 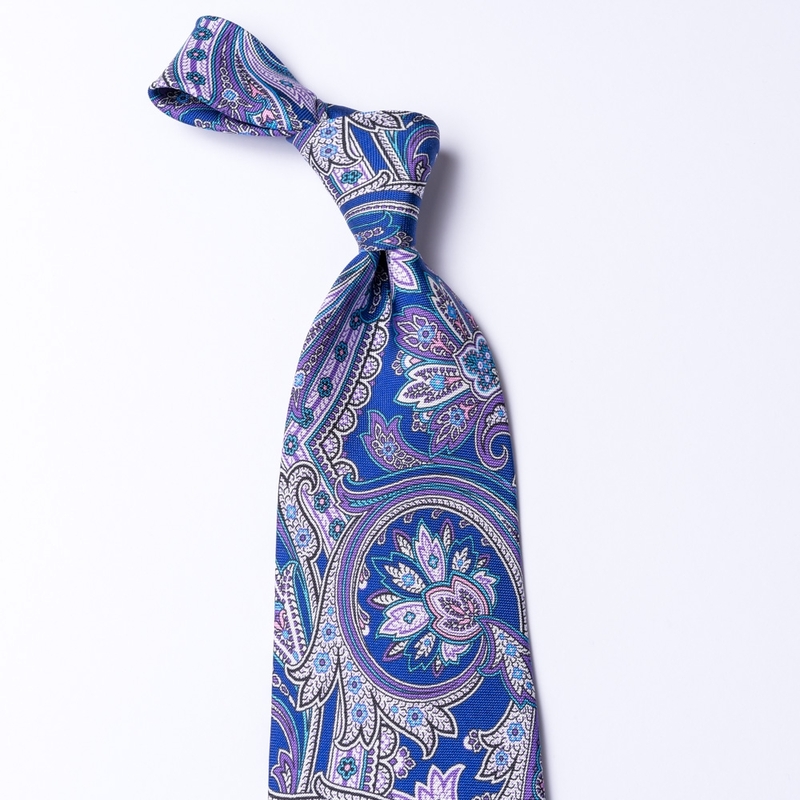 The silk is lightweight with a minimal shine.